Matting is made to fit the industry standard 10" x 20" trays or can be purchased in a roll 4 feet by 50 feet long. Custom orders are available upon request. 1. Pre-soak seeds if desired seed directions recommend it. Typically 6-8 hours. 2. 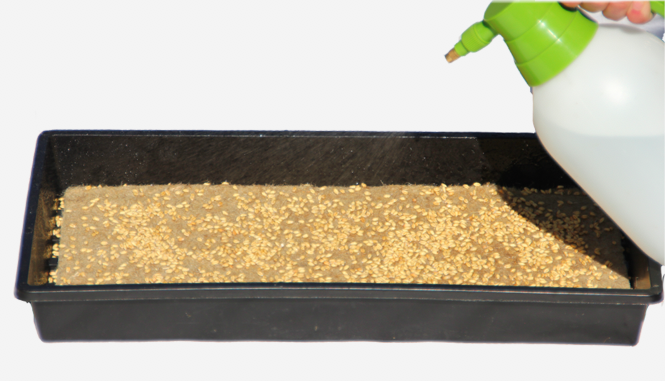 Place Terrafibre Grow Mat in a grow tray fibre side up & sprinkle with recommended seed rate evenly over mat. Wet with Ph neutral water until mat is saturated, but not covered by water. 3. 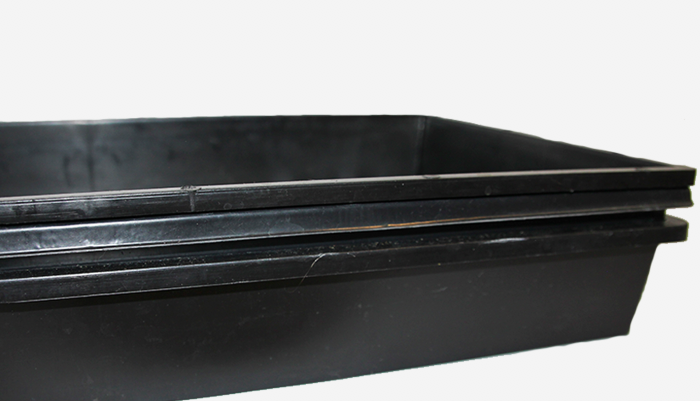 Stack trays or put in humidity dome to encourage high germination and strong rooting. Keep in darkness for first 1-4 days depending on the seed. 4. Place grow mat under a hydroponic grow light or in direct sunlight for approximately 8-10 hours per day. 5. 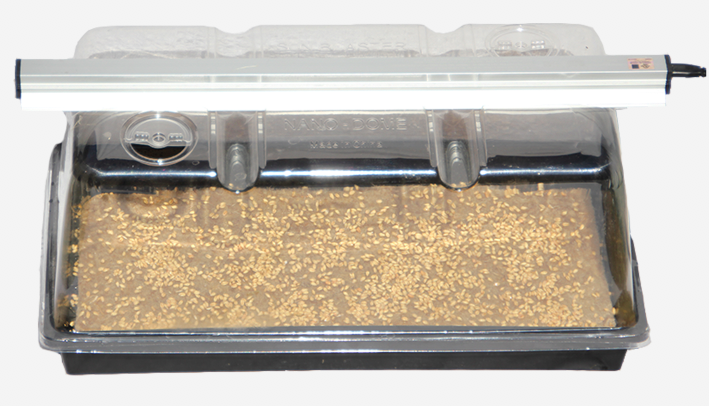 Keep the grow mat saturated by spraying once or twice a day. 6. When ready, harvest crop with scissors & enjoy your delicious greens! Keep greens in the mat until ready to eat for longer storage. BUY YOUR GROW MATS NOW!! I really like this product for growing microgreens. It works very well for smaller seeds (which is most of them) and moderately well for larger seeds (peas, fava.) It is very easy to use. 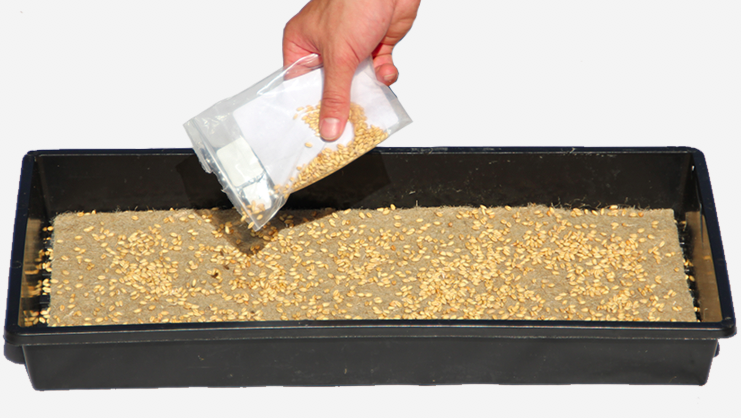 I put it in my growing tray and wet it down, sprinkle seeds on top, mist the seeds, cover and let germinate. Works very well for indoors. If you are using them outdoors in the summer, you'll have to keep a good eye on them because they can dry out quickly. 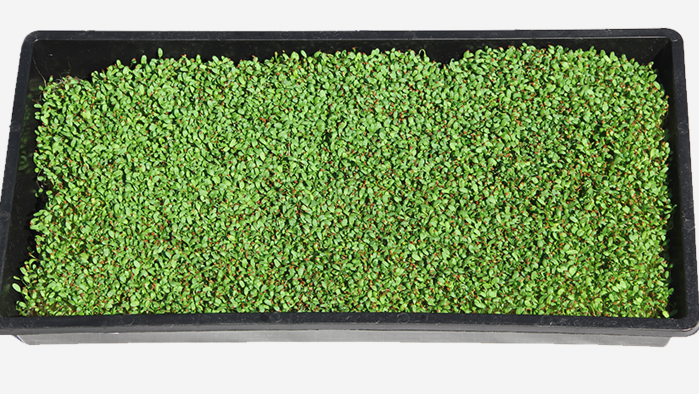 One of the major benefits of this product is that you can grow microgreens without the messiness of soil, which gives you a cleaner product. 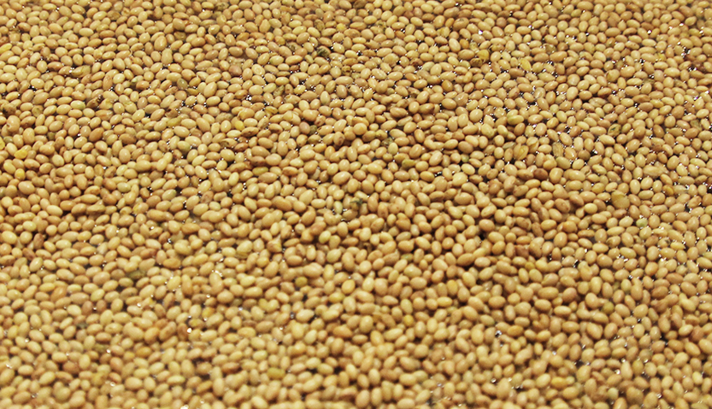 These are the best substrate for your microgreens!! "I've used soil, coco fiber mixed with perlite, coco fiber mats and these hemp mats for growing microgreens to sell at a Farmer's Market. I like these hemp mats the best! They are so strong and absorbent even though they are thin. I find they stay evenly moist No more mixing substrates,cutting nasty fibrous mats, presoaking mats, washing trays or lugging heavy bags of soil and compost around for this garden girl! I love these mats! They are so clean, light and convenient. Plus they are made in Canada, eh! " I am so pleased with these!! Update - i’m about to buy my 5th packet and still love these mats!!! Also growing mustard and buckwheat on them very successfully now :)"
"I grow microgreens professionally and have now switched from soil to these wonderful mats. They do require watering a little more but they are easy enough to water if you bottom water them. They are actually 100 times easier to use than soil which do have problems with mold and bugs. I HIGHLY recommend using these." For small to large scale microgreen producers, works very well!! "I am a small scale commercial producer using these grow pads for microgreens such as pea shoots, radish, clover, fenugreek, and many more all using these pads successfully. My Instagram is urbanverticalco and email is joshua@urbanvertical.ca if you have any question on how to use them I would love to help. Can't stress enough the value these pads have created for my business. Also really good for wheat grass. For more information shoot me a message." "I grow microgreens on a small scale & sell locally to stores, restaurants, direct to customer, etc. I’ve been looking for a good alternative to soil and found these Terrafibre hemp mats to be a fantastic choice. No mess, less disease issues, quicker clean up, priced better than similar options, and I find the mats don’t break apart as easily as other grow mats."